Play Dress-Up With a Tinker Bell Autumn Inspired Hat! 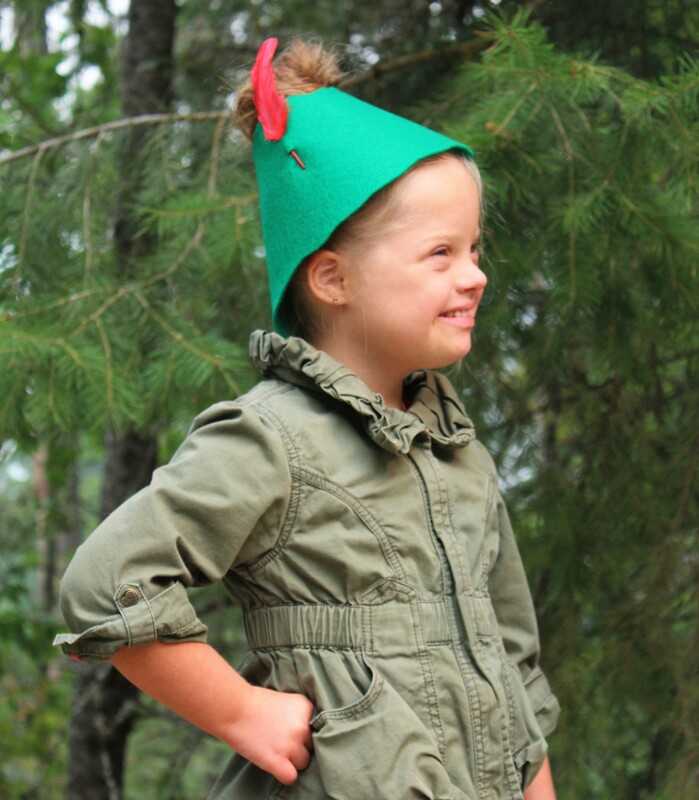 Play Dress-Up With a DIY Tinker Bell Autumn Inspired Hat! To play along with Disney Family’s #DisneyWeekend theme of Play Dress Up, I decided to make a simple Tinker Bell autumn hat, like what Tinker Bell wears in the Tinker Bell and The Lost Treasure movie. In the movie, her hat is made from a large leaf and a red feather. I loved making a simple felt replica of this hat since for my niece to wear, since this whole film is about Tinker Bell going on daring adventures, perfect to inspire young girls to dream big! Long piece of bright green felt. Use a tape measurer to measure the circumference of the head who will wear the Tinker Bell autumn hat. Print out the PDF template, and cut out the leaf hat length you need. Use the template to trace and cut out the hat shape out of green felt. Cut two small slits on one side of the hat to insert a red feather snuggly in the hat. Fold your piece of elastic so it forms a button-loop shape, sewing on the inside of one end of the hat. Sew your button on the other end of the hat. Place your model’s hair into a top knot, and simple button the Tinker Bell inspired autumn hat around their head for a fun day of Tinker Bell dress up! My adorable niece was the perfect model for this hat – it’s the perfect Disney-inspired autumn dress-up item!